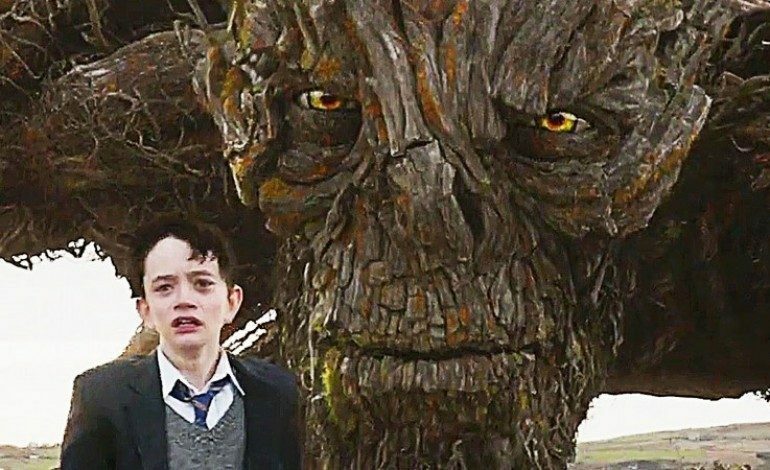 According to Deadline, Focus Features has delayed the release date of its fantasy drama A Monster Calls from the October 21-23 weekend to the holiday weekend, starting December 23. It will start in a limited run in 10 cities and 20-plus theaters before moving to wide release in 1500 theaters on January 6th. The originally scheduled October weekend was quite crowded with competitors such as Jack Reacher: Never Go Back, Keeping Up with the Joneses, Ouija: Origin of Evil, Boo! A Madea Halloween, and I’m Not Ashamed. Patrick Ness wrote the award-winning novel based on an original idea by Siobhan Dowd. Ness also adapted the screenplay, with J.A. Bayona (The Impossible) directing. Participant Media and River Road are producing. Lionsgate will distribute internationally. The sad yet darkly funny, wise, haunting and deeply moving tale follows 12 year old Conor (Lewis McDougall) dealing with his mother’s (Felicity Jones) terminal illness. His father (Toby Kebbell), divorced from his mother, has a new family in another continent. His grandmother (Sigourney Weaver), who takes care of him, is not very nurturing, and he struggles with bullies at school. Amidst these tribulations, Conor receives a visitation from a monster, voiced by Liam Neeson, who demands the truth from Conor. A Monster Calls is making the film festival rounds, debuting in its world premiere next week on September 10th at TIFF, followed by the San Sebastian Film Festival on September 21st, and the Mill Valley Film Festival on Oct. 10th. It has already received early positive buzz.